This was a recipe I’ve been thinking about for a while, then I decided to try it out with my best buddy Ian. You will be amazed at how tender and juicy the salmon will be. Don’t cut corners on the garlic, this is what it’s all about. add in the asparagus and cook in broil for about 8 minutes. If salmon is a thick cut may need a few more minutes cooking time. 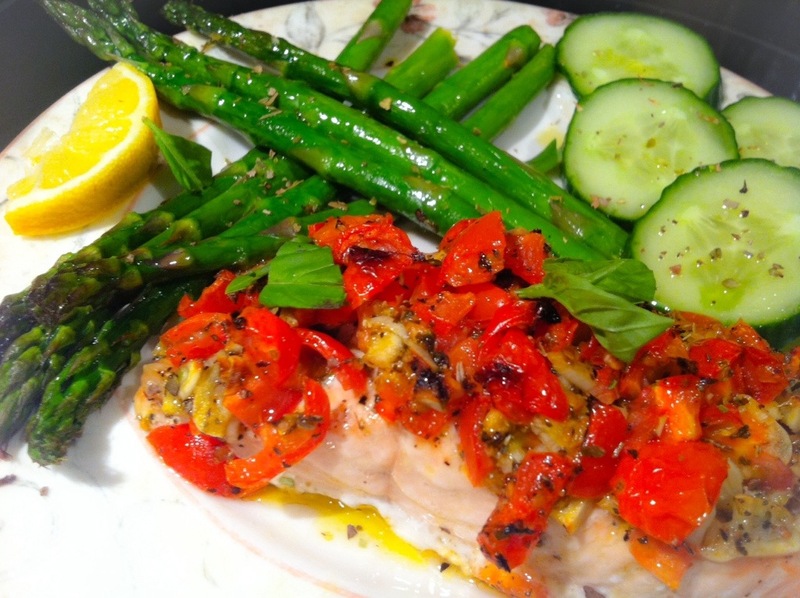 When salmon is ready plate each fillet with asparagus side and squeezes of lemon on fish and asparagus. 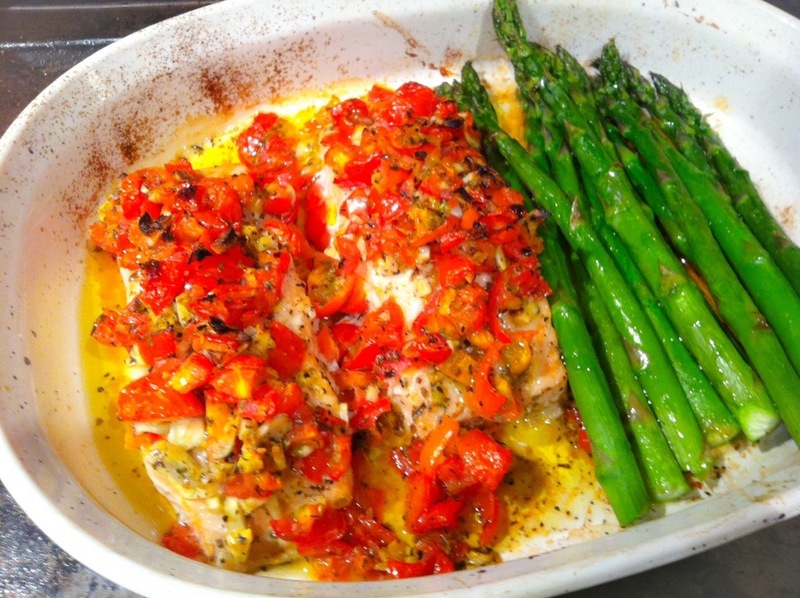 Serve with crusty bread or pita and drink with Pinot Noir or any dry white wine will work well.